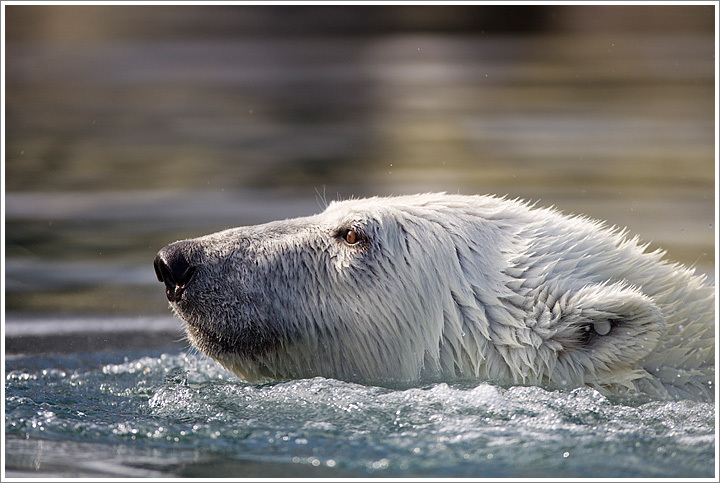 A large male Polar Bear (Ursus maritimus) swims along the coastline near Sallyhamna (Sally Bay) on an early summer day. This entry was posted on Monday, November 14th, 2011 at 8:43 am. It is filed under On the Road and tagged with Bears, Climate Change, Europe, Global Warming, Norway, Polar Bears, Spitsbergen, Svalbard. You can follow any responses to this entry through the RSS 2.0 feed.